"There were speeches back at the pier head but I can't remember a single one of them. 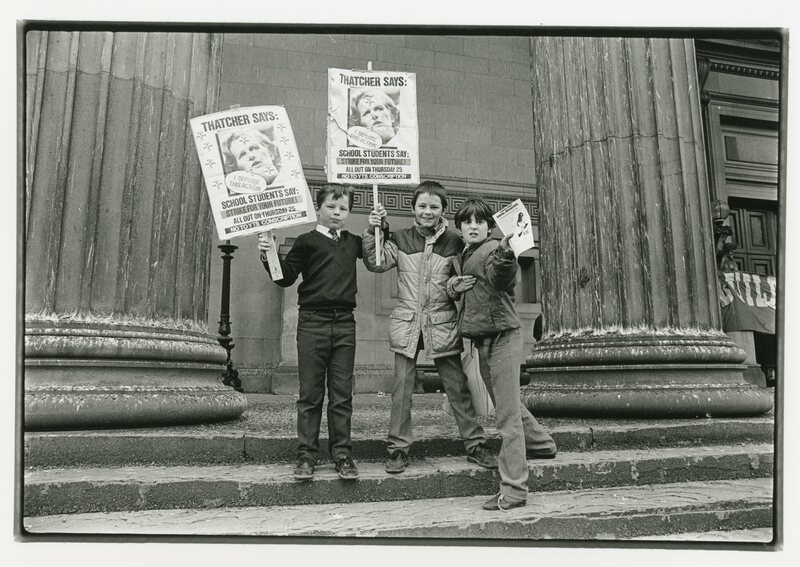 I was just filled with the feeling that being on strike was far better than being in school"
In 1985 I was staff photographer for The Militant Newspaper, writes Dave Sinclair I was sent to Liverpool to photograph the school strike against Margaret Thatcher’s Tory governments Youth Training Scheme, YTS. 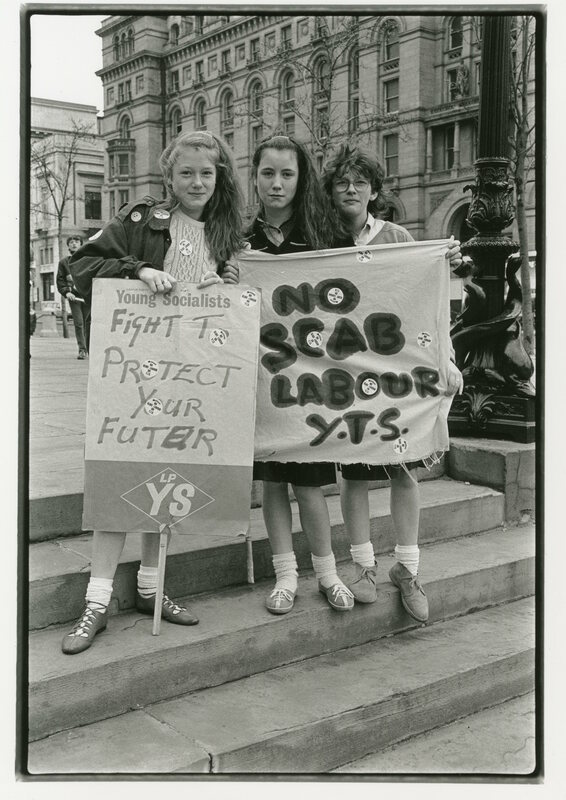 The youth of Britain saw the scheme as a form of exploitation or ‘slave labour’ and all over Britain school students were taking strike action. 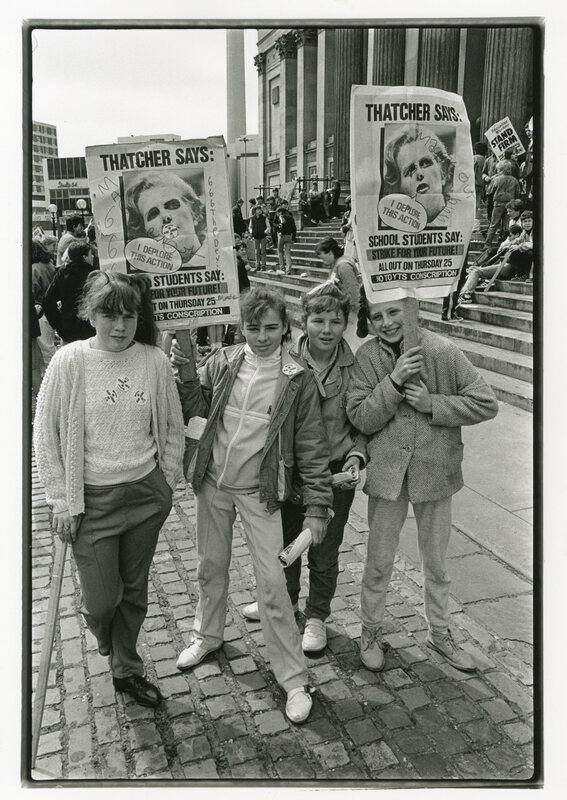 The atmosphere in Liverpool was particularly angry and anti-Thatcher (the Miners Strike of 84-85 had just finished in defeat) and was looking to be the largest strike of children. 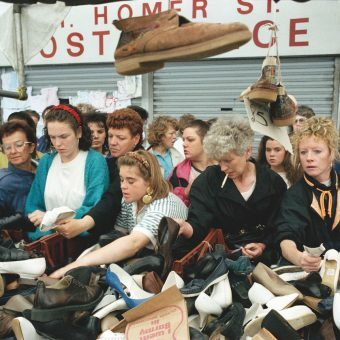 Parts of Liverpool had 80% youth unemployment. 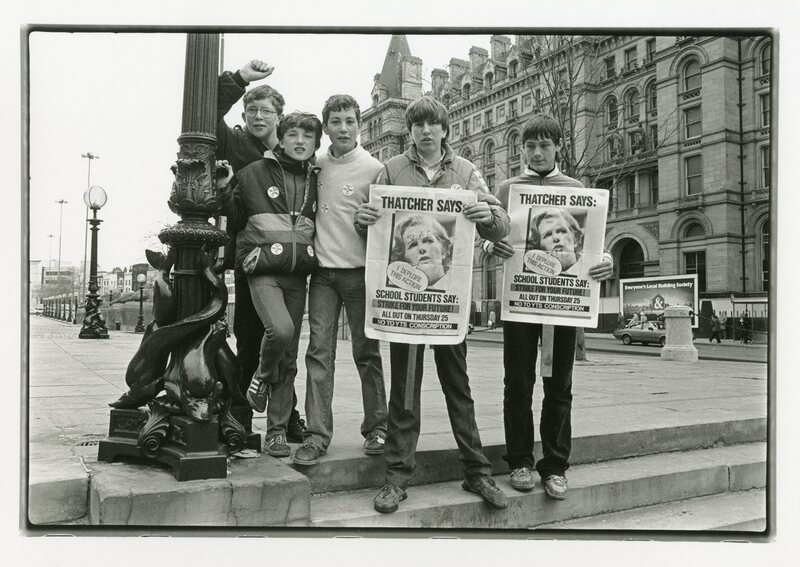 Students had been campaigning for weeks and with the help of the Labour Party Young Socialists, LPYS they had been leafleting different schools to spread the word. 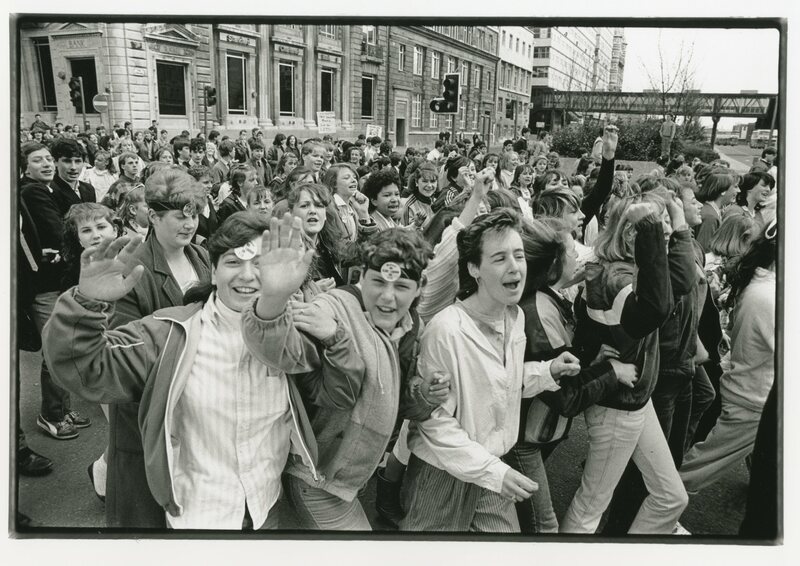 They agreed to gather on the 23rd April, 1985 outside St George’s Hall and then march through the town centre to a rally at the Pier Head. We were later told by the Education Authority that as many as 30,000 took strike action, as many as 10,000 making it into town. Many students made their own placards and banners. They started gathering about noon. Several children addressed the gathering, speaking from the steps with a megaphone. 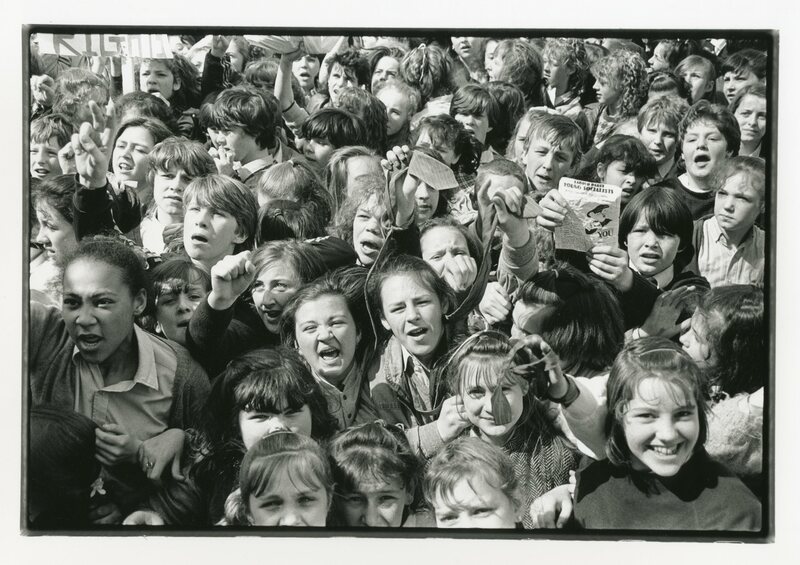 By about 1pm the area in front of St George’s Hall was full and the crowd was spilling onto Lime St. One of the LPYS speakers announced the march would leave and walk through the town centre to the Pier Head but the word Pier Head was all the children heard – so took the shortest route avoiding the city centre and shops and went running through the quiet business end of town straight to the Pier Head. There was only two police officers present; it was stewarded by Labour Counsellors and a few parents. The march was fast, enthusiastic, boisterous but very funny and good humoured. The rally at the Pier Head was addressed by Emmy Onoura, Terry Fields (Labour MP for Broad Green, Liverpool) and the students themselves. 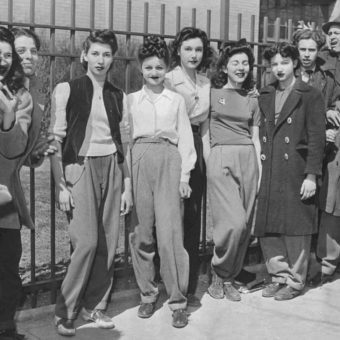 Two thirds of the students were female. 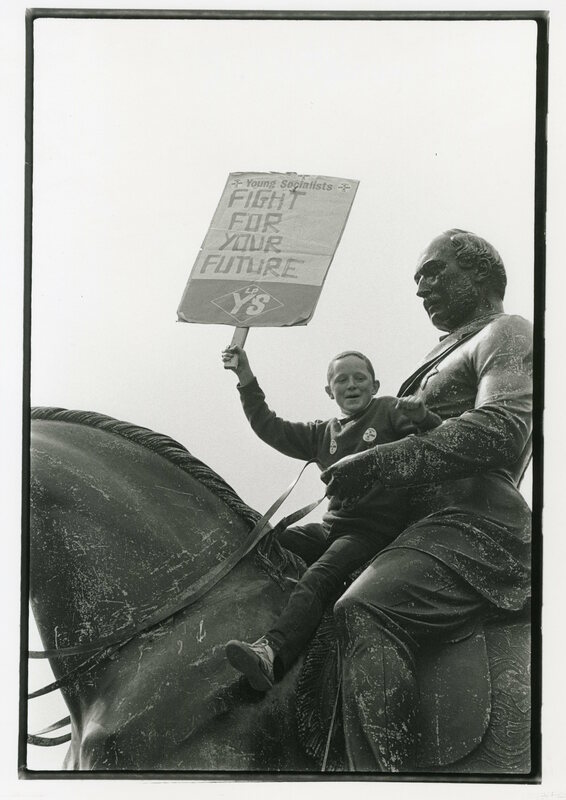 Government Minister Tom King delayed the YTS scheme for a year because of the protests but made it compulsory the following year. 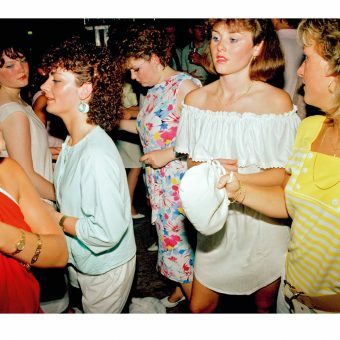 In 1985 I was a 14 year old school boy in Wallasey. 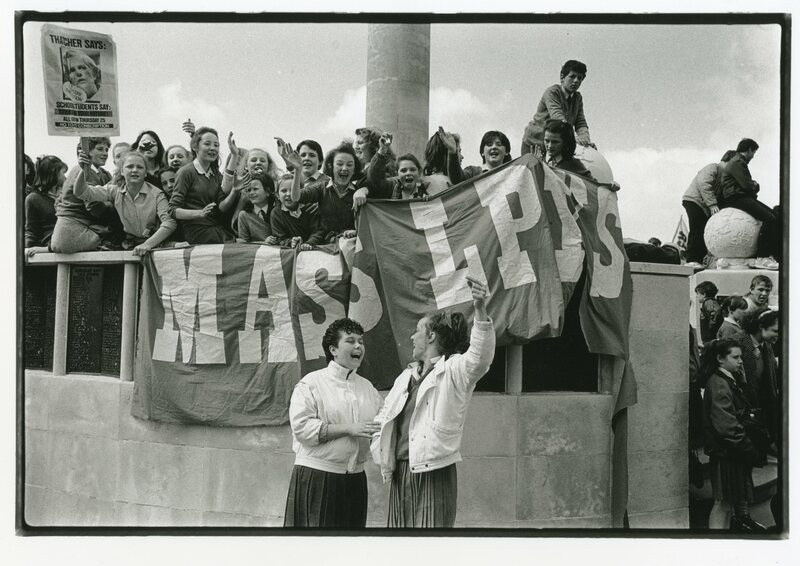 I remember the day of the strike and some of the build up to it with far more clarity than most of my time at school. With no social media or mobile phones the details of the strike were distributed on very poorly printed black and white flyers that were passed around on the school busses and in the school yard. In fact a couple of days before the strike one lad in the year above me was suspended for being found in possession of several of these flyers which served to heighten the tension around the strike. 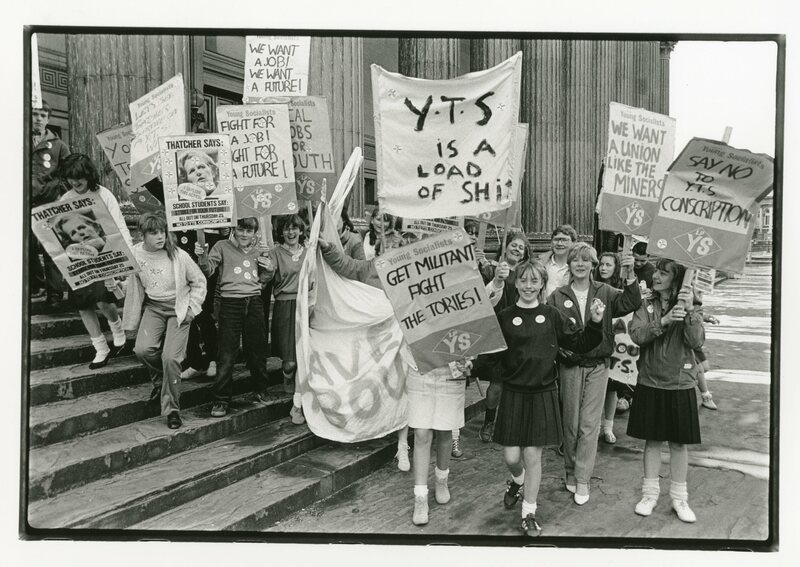 Another strong memory is that in the days leading up to the strike everyone had a view on just how exploitative the YTS was and that nobody should be forced on to it. The day itself was a test of nerves, the school issued warnings of action being taken against anyone taking part in the strike. 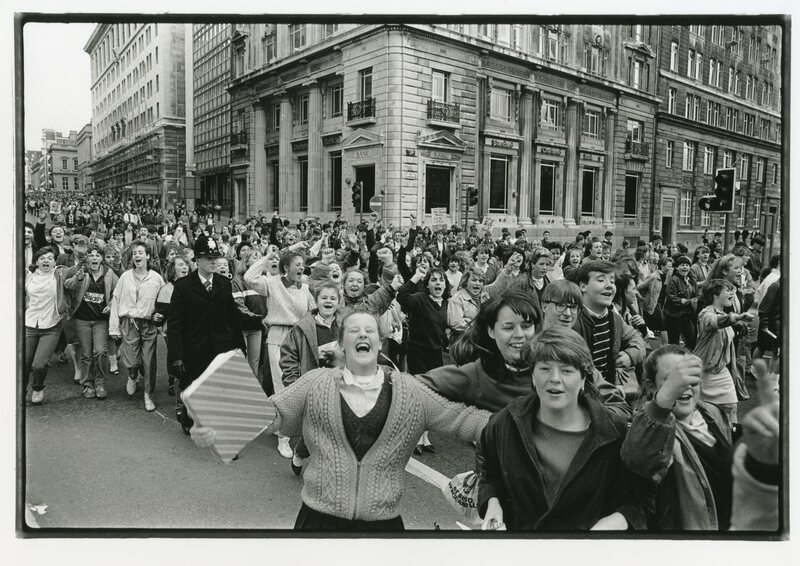 I remember leaving school at lunchtime and finding about 20 students who were intent on going on the demonstration. 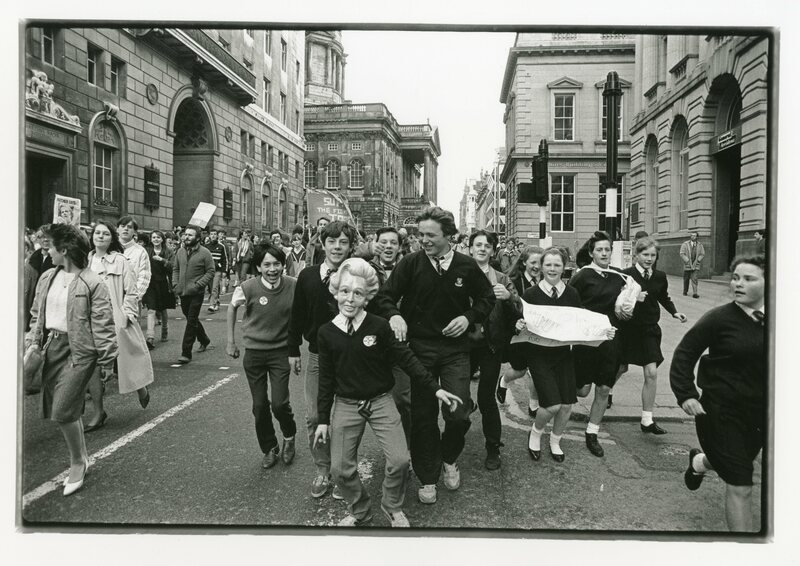 One lad came running from the direction of the train station, the quickest way to get over to the centre of Liverpool, saying that there were police at the station stopping school students from getting on the Liverpool train. So we took the bus to Seacombe and then the ferry over to the pier head. On the way down we all laughed and joked but I felt worried that we would get in to serious trouble as I’d never bunked off before and this seemed even worse. We arrived at the pier head to find a few people milling around so we headed up towards town to find the demonstration. We got up near the town hall and found the demonstration coming straight towards us. After only being one of twenty on the way over the demonstration was far bigger and noisier that I could have hoped for. We hesitated at the side of the road then joined in and headed back down to the pier head. There were speeches back at the pier head but I can’t remember a single one of them. I was just filled with the feeling that being on strike was far better than being in school. The atmosphere on the day was electric. I’d never been on a demo like it before or since. In the weeks before the announcement of the strike, there’d been a whole load of speculation in the press as to what its purpose was and what support it would get. 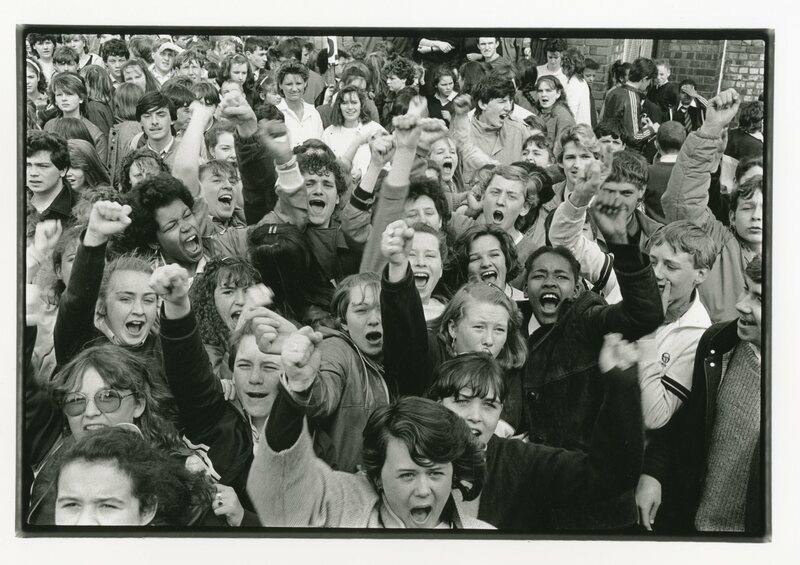 There were spontaneous walk out from students in schools in Knowsley, during the weeks leading up to the day of the strike. So much so, that Knowsley Council announced that all secondary schools in the borough would be closed on the strike day itself. I was amazed at the numbers who showed up. There were thousands. 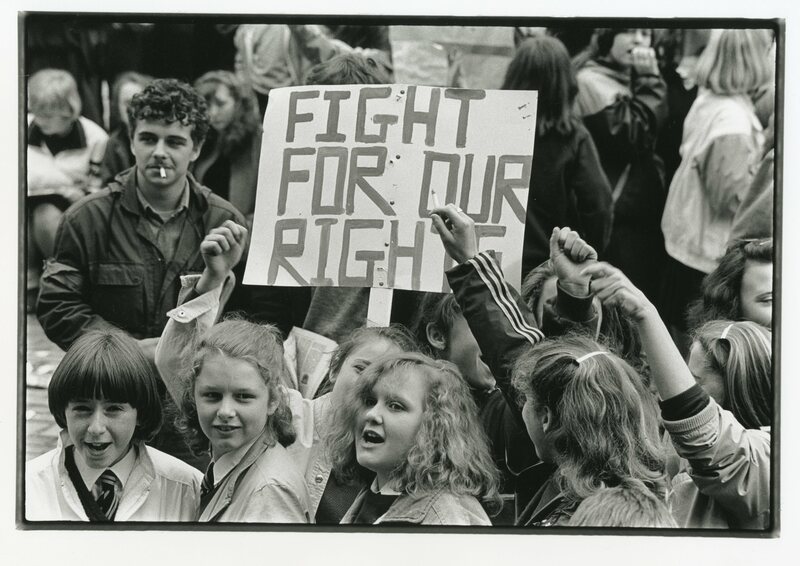 Cynics had suggested that it would be used as a day to stay at home and that most young people wouldn’t be interested in political protest, but the numbers in attendance refuted that. Most students turned up in their school uniforms from all over Merseyside. Knowsley and Liverpool schools were obviously well represented but there were students from Southport, St. Helens, Formby, the Wirral. I remember, speaking to a couple of lads from a fairly posh school on the Wirral, who had turned up. We’d organised stewards, but it proved to be beyond the organisers control. The demo was scheduled to leave St. Georges Hall at 10.30 I think, but we couldn’t hold the demonstrators back, so the march started spontaneously about 10 minutes early. The march never followed the designated route, they just went on the most direct way to the Pier Head and they pretty much ran all the way. We planned for the march to take about an hour but it took about 20 minutes. That 20 or so minutes was mad. Roads were blocked, traffic was held up people walked between cars and traffic. I was seriously worried that someone would get run over. I’d heard that there had been a couple of arrests which was a shame because it wasn’t that kind of event. While we had lost control in organising the demo as a peaceful march along a planned route, the mood was boisterous and enthusiastic. There were certainly no fire extinguishers thrown from high buildings. 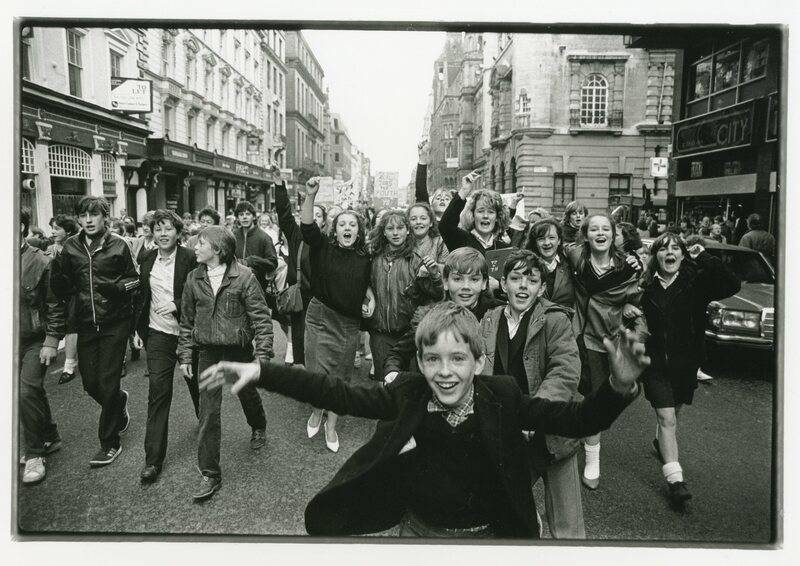 Those reports of arrests aside, the Police took a generally hands off approach, although some were clearly intent on pushing kids around for little more than over-enthusiasm. 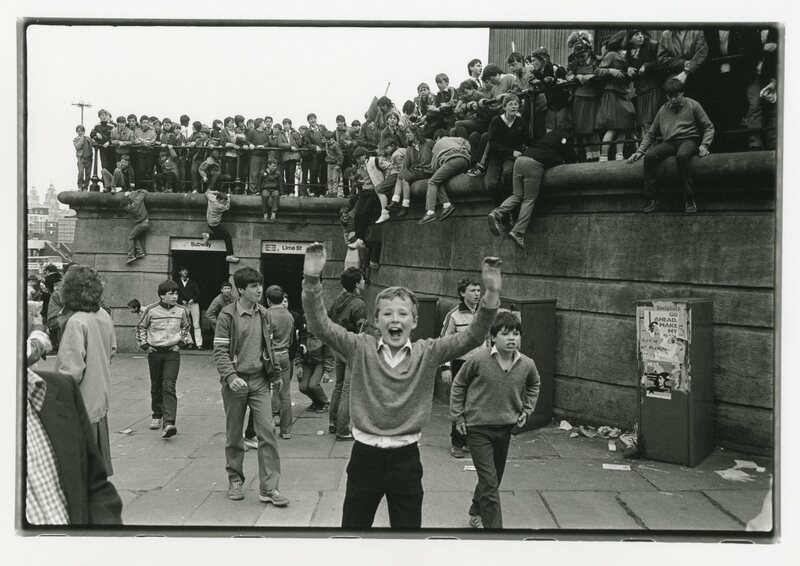 At the Pier Head, there were just a sea of kids, mostly in school uniforms. There were informal competitions to see which schools were best represented. 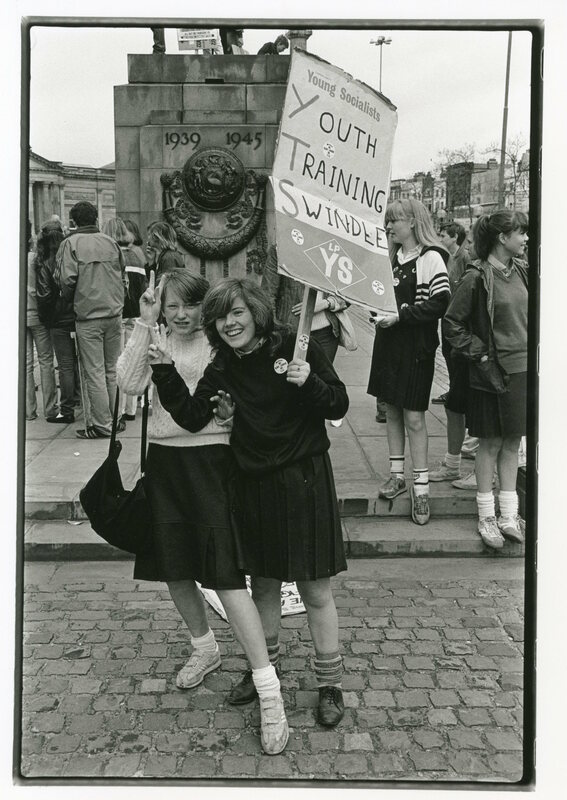 They’d made banners which read things like ‘Croccy Comp on strike’, but there were homemade banners, stating things like ‘We won’t go on YTS’, and others demanding real jobs and futures. My own personal favourite was a banner that read ‘Slavery was abolished in 1833’. 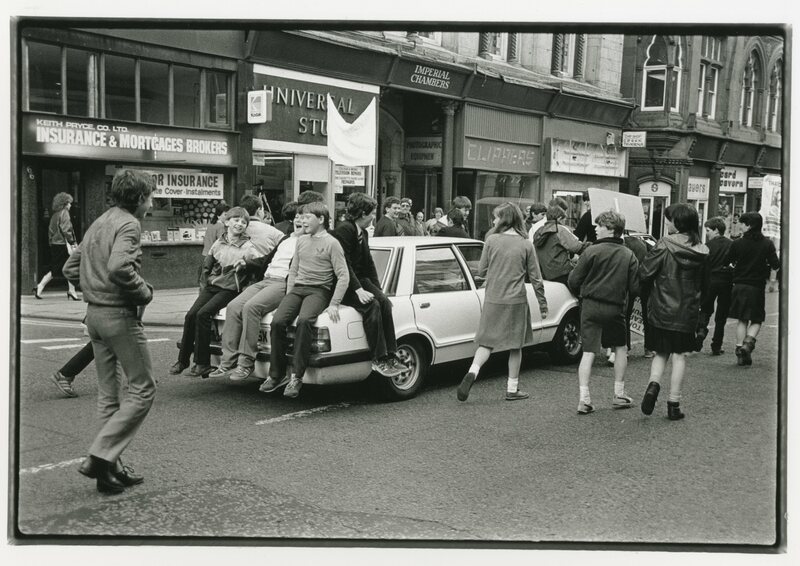 There was also a real multi-racial dimension to the demo which was rare on youth events at the time. There were black kids, Chinese kids, Asian kids all participating in the event. All the speakers were enthusiastically received and nobody would go home at the end. The late Terry Fields in particular got both an enthusiastic and genuinely warm reception. The demo had the desired effect, at least in the short term. 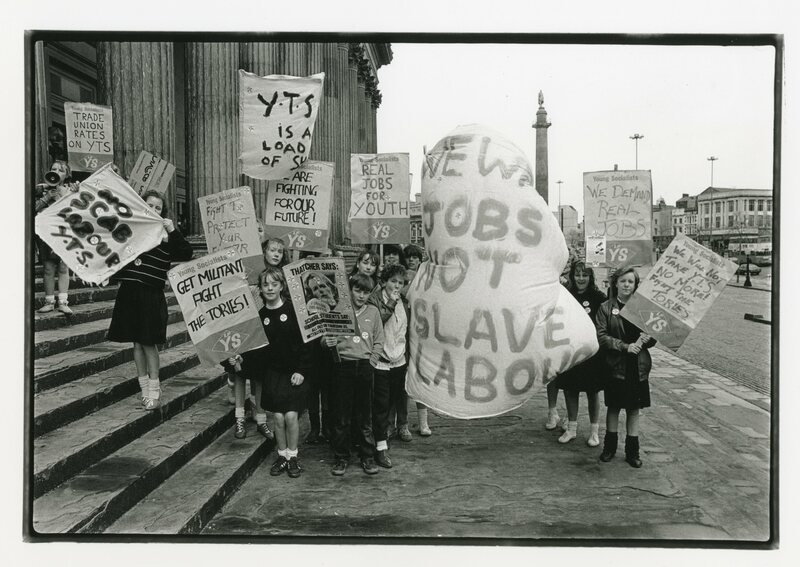 They plans to introduce compulsory YTS were ditched, although they were introduced through the back door a year later, but a victory is a victory and there weren’t that many against Thatcher. 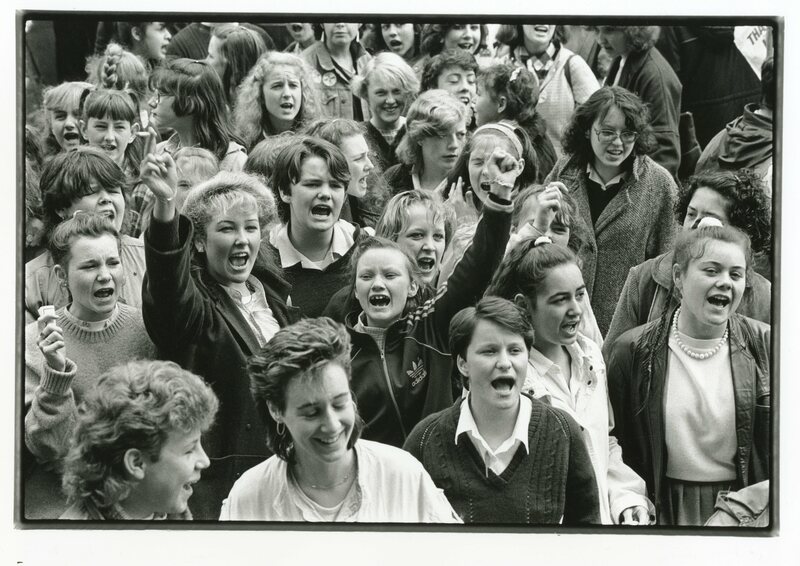 The students on that demo are now a generation with kids of the same age. Then it was YTS, now its EMA, tuition fees, welfare and housing benefits, stop and search. Every generation of young people finds itself under attack in one way or another. 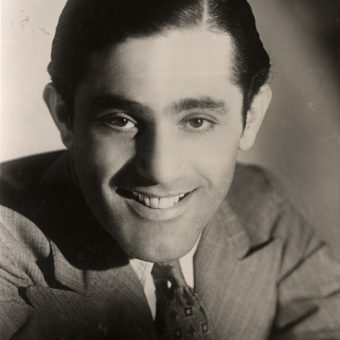 All photos by Dave Sinclair. 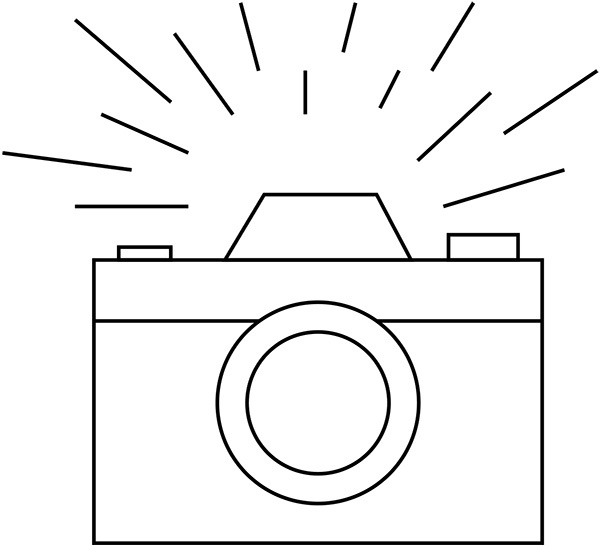 See more of his great work at ‘Dave Sinclair Liverpool’ on Flickr and Redsinky On Instagram.